The Marshall Islands has put forward its candidacy for the UN Human Rights Council for 2020-2022. 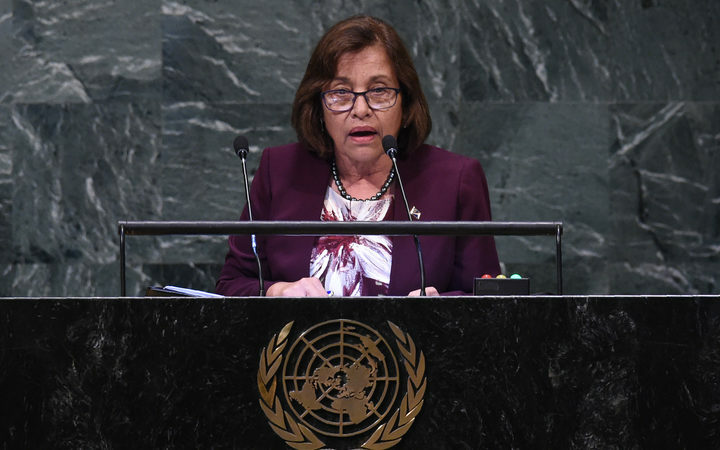 Marshall Islands’ President Hilda Heine speaks at the General Assembly at the United Nations in New York. Photo credit: AFP or licensors.